Whether you’re looking for a Chrysler, Dodge, Jeep, RAM, or another make and model, our ever-changing inventory of affordable used cars is sure to accommodate your needs and your budget. We hope to be your resource for reasonably-priced used cars for sale in Brownfield! 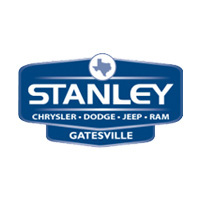 Test drive a used vehicle today at Stanley Chrysler Dodge Jeep Ram Gatesville. If you need help finding the right budget friendly option, check out our pre-owned vehicle specials and then contact us at Stanley Chrysler Dodge Jeep Ram Gatesville near Temple to schedule a test drive.